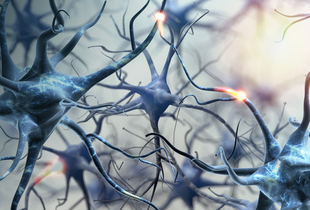 Neuropsychiatry represents the crossroad where psychiatry and neurology work together to treat the underlying health conditions that affect your brain and mental health. Neuropsychiatric treatments provided by Dr. Lynne Mielke and Sandi Kreizenbeck, DNP, at Optimal Health Spectrums take a holistic, integrative approach to treat conditions such as traumatic brain injury and age-related memory loss. If you have any questions or concerns about your brain or a psychological disorder, call their office in Pleasanton, California to schedule an appointment. What do you need to know about traumatic brain injury? Your brain is vulnerable to traumatic brain injury (TBI) from falls, car accidents, sports injuries, and any event that inflicts force on your head. Concussions represent about 80% of all traumatic brain injuries. While a concussion is a mild TBI, improper treatment and repeat concussions can lead to long-term brain damage. You may experience TBI symptoms immediately, or they may not develop until a few days after your injury. Please contact us if you have symptoms like drowsiness, headache, confusion, or nausea following a blow to the head. How does integrative medicine treat traumatic brain injury? Following an injury, your brain needs specific nutrients in order to heal properly. Healing requires a large amount of key nutrients, so TBI can create a unique metabolic imbalance. At Optimal Health Spectrums, we provide your brain with the essential nutrients it needs for optimal recovery. TBI may also injure the hypothalamus or pituitary glands, which can cause a hormone imbalance. Fatigue, depression, anger outbursts, loss of sexual function, and other symptoms that develop following TBI may be treated with bioidentical hormone therapy to correct the imbalance. How does the MEND™ Protocol improve age-related memory loss? Optimal Health Spectrums is an official MEND Protocol certified provider. MEND is an integrative approach to treating age-related memory loss that evaluates underlying health issues which contribute to memory loss. In addition to testing for metabolic issues, metal and chemical toxicity, inflammation, nutritional deficiencies, and hormone imbalances, we also evaluate diet, exercise, and other environmental aspects of the patient’s life. Then the factors contributing to memory loss are treated simultaneously. Integrative psychiatry is a holistic approach that combines conventional and complementary therapy. We assess your symptoms using the tools of traditional psychiatry, then look deeper to determine if you have any underlying health conditions affecting your mental health. Treating the underlying issues often relieves psychological symptoms. Your treatment plan will incorporate many types of therapy, such as psychotherapy or psychotropic medications, when necessary. 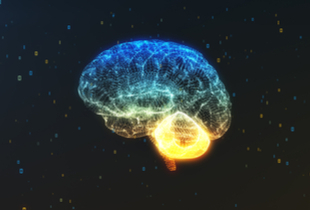 Click the following links to learn more about neuro-psychiatric treatments, including integrative 'holistic' psychiatry, treatment for traumatic brain injury, memory loss, and the autistic spectrum.